Modern technology has completely changed the way businesses run and operate today. Much of the technology we use has been made possible by the use of APIs. APIs are enabling the software we use to communicate and continuously share data, so that we can in turn create more streamlined business processes. Over the last decade we have seen a huge proliferation of APIs, with the number of publicly available APIs increasing over 10,000%. It is estimated that the number of APIs will reach over one million by 2017. This growth has been primarily driven by the demand for mobile apps and the Internet of Things. The world’s fastest growing companies (Airbnb, Uber, Instagram and Snapchat for example) are all using APIs to share data and enable their businesses. These days it’s difficult to find one example of a company that’s not using apps and APIs to run their business. In our recent research on “Using APIs to Power Marketing Tools” in partnership with Sendgrid, we learned that on average, marketing organizations are using 18+ apps to run their programs. And that’s just the marketing organization! Today’s modern marketing automation system enables a team of three to accomplish the same amount of work as a team of 20 dreamed to accomplish 10 years ago. And it goes beyond scaling promotions and automating process. 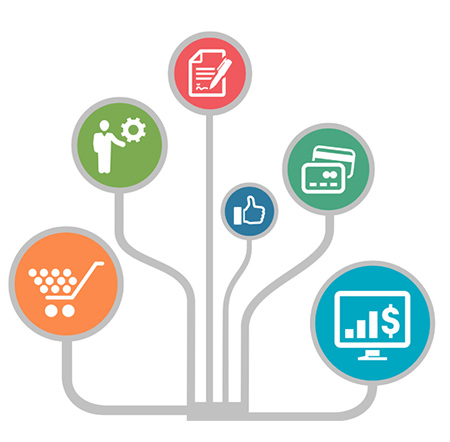 Automation enables marketers to experiment, measure and analyze. Marketers and entire companies are depending on apps to streamline their processes and depending on APIs for these apps to work efficiently. Kabbage, an online financing technology and data company, has gone from paper records and lengthy loan application processes at the bank to digital record keeping and automated lending platforms because of this shift in technology. This post is in collaboration with Kabbage, an online financing technology and data company. Check out their blog for more ideas around technology in business.